I feel I have to keep reminding everyone that these posts are just written and not edited! That’s the one thing this project has in common with NaNoWriMo, as well as the daily discipline. The original purpose is to get things written, and then refine afterwards, so publishing as you write is not part of the intended plan, and may be a bit crazy. I do sometimes change a word as I go, but I don’t go back and rewrite anything. It’s liberating, but because I’m making it public, also a bit risky. I would love to write well-crafted prose, and above all to develop a style of writing that is engaging and distinctive, but that will have to wait! It’s good to learn to swallow your pride and just put stuff out there. One of the things that’s hard about running the bookshop is that I don’t really like being the centre of attention. In a way, I’m not – especially now that there are lots of other people involved; but I do still do most of the organisation of events, make the important decisions, and am the most obvious face of the Tree House. (As if treehouses had faces…) On the other hand, I do like indulging my own ideas – the films we show, for example, are pretty much all my choices! Responsibility – that sense of knowing you will be judged in some way for the choices you make – is at odds with my lack of self-confidence, but it’s also a chance for me to be creative. I can’t do the more orthodox creative things – art, music, dance, acting, and those sorts of things – but I can be creative in how I decide to run and develop this venture. I am always thinking of how to develop what we do. I am inundated with ideas from other people, and I mostly listen but it’s rare that anyone says anything I haven’t already thought of. As I said yesterday, it’s not the ideas that are lacking, it’s the energy and sometimes the know-how to put them into practice. One area where I do wish I had more flair is in the interior design of the place. I spend a lot of time looking around at the shelves, the walls, the ceiling (I love those two big wooden beams across the ceiling!) and try to work out how I want to decorate those surfaces, to make the place more magical. I want people to come in and feel a sense of wonder. I just don’t know where to start, despite the inspiration of many other places! But I am sure I will start to work on that side of things soon, and there will inevitably be a lot of trial and error, especially as I can’t afford to pay artists and artisans so will need to do most of it myself or press-gang my noble and willing volunteers. Creativity is not just about those more obvious things, though – there is a creativity in relationships with people, in transforming abstract ideas into things that work in reality, in creating an environment that then sets in motion its own dynamic. The latter is probably the bit that relates most to me. I get disheartened quite often, but then I sit during a live music gig or an open mic or a poetry reading, and look around at engaged, happy people interacting with each other and sharing or enjoying a particular talent, and I tell myself that all this is happening because I have created a space where it can happen. Other people do most of the rest, but that’s what keeps me going when I feel like giving up: this is here because of me, these people are here ultimately because of me, we all know each other and are developing lovely friendships because of me. Not in a hubristic way, but just as a means of acknowledging that I am actually doing something and it’s good! As a child I often felt I didn’t exist; I was always surprised at little things that reminded me that I did – being counted with the others on a school trip, for example, being picked for a sports team (I was useless at sport so that was always a test of self-esteem), little things like that. So apart from anything else, this project is a way of proving to myself that I do exist! Or maybe none of us do, but then it doesn’t really matter. I exist as much as anyone else, that’s all I need to know. Getting a bit philosophical, though philosophy is real! It’s about reality. At the bookshop, we have a resident philosopher, and he makes us all think. I realise I haven’t had a good philosophical discussion with him in a while, that’s something to remedy! The bookshop is partly about making elusive things real. It’s about those things that are not of commercial value or measurable in rational ways, it’s about exploring and promoting the importance of those synapses between the areas we do understand or can put into words. Literature is about words too, of course, but it’s also about conveying something in words that goes beyond words. The symbol of creativity for me is a tiny part of the magnificent ceiling that Michelangelo painted in the Sistine Chapel five hundred years ago: that famous scene where God creates Adam, with Adam as a kind of Greek godlike human figure, and God swirling in majesty, and the whole thing surrounded by Michelangelo’s huge, muscular figures. But the symbol itself is that tiny gap, that synapse, he leaves between the flaccid finger of Adam and the turgid finger of God – that moment forever caught where the spark of life is about to be transmitted. That’s where we all live, and everything we do is about reinforcing that creative moment – I don’t mean in a religious sense at all, just that the gap between our understanding of the world, the universe, and our sense of mystery is at the heart of anything creative. Nick Cave – one of the household gods of the Tree House (more of that in a future post!) and someone who exudes creativity from every pore and every word he speaks publicly – says it better than me, in these final scenes of the wonderful film 20,000 Days on Earth. Watch this clip to the end – his last words are truly beautiful and resonate profoundly with my own understanding of what creativity is and what life is – ‘this shimmering space where imagination and reality intersect, this is where all love and tears and joy exist, this is the place, this is where we live’. NaNoWriMo – the Tree House version! I had considered signing up to NaNoWriMo – National Novel Writing Month – which happens every November, where people attempt to write a novel in a month. In the end I didn’t, as I knew it was too big a commitment just now, and anyway I don’t really want to write a novel. I enjoy writing, but am more drawn to non-fiction (surprisingly, as novels are what I enjoy reading most!). So I decided to do my own version. I aim to write 1000 words every day (less than NaNoWriMo demands) on the Tree House Bookshop – a sort of meditation on it, its past, present and future, what goes on there, my thoughts about it all, etc. This may bore most of you rigid, but I’ve decided to publish my daily scribbles in this blog part of the website. One thing that I am keeping from the official brief is that you don’t edit what you write – you just write, get it all down on paper (well, a computer screen in my case at least), and edit afterwards. The aim is to get that novel written. So what I post here is completely unedited, so any tedium of style, infelicities of grammar or inelegancies of sentence structure, are due to that. Writing is a process that is harder than it looks, and I am nervous about simply writing and posting – but also looking forward to sharing my thoughts in a way. Ultimately I hope this might be instructive to me and give me a chance to take stock and look to the future of the Tree House. It’s probably hugely self-indulgent, but I am looking forward to seeing where it takes me – and the bookshop! So here is my first day’s work. 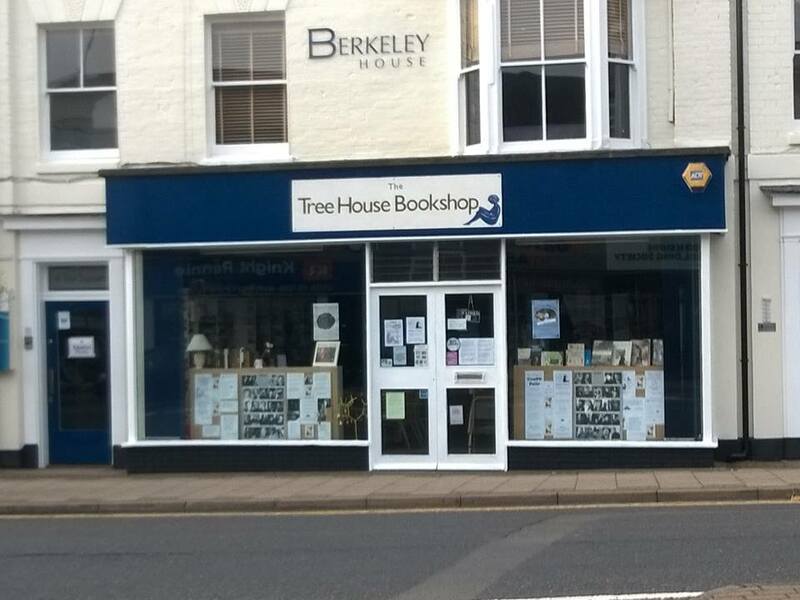 The Tree House Bookshop…what is it, why is it, what happens there, how is it going, where is it going, how does it survive? Is it surviving? Just a few of the questions that people ask me on a regular basis. I am going to spend the next month doing my own version of NaNoWriMo writing 1000 words each day about the bookshop, partly to put into words what it’s all about, partly to help myself think through what the venture is all about and where we are today and looking ahead. A lot goes on at the shop these days. There is something happening most evenings. Monday evenings there is a Mindfulness course; Tuesday evenings are Art History lectures; Wednesday evenings is Nifty Needles, our social group for those who enjoy any kind of needlecraft; Thursday is film night; Friday is silent reading; Saturdays are for open mic once a fortnight. Sunday is an evening of rest mostly! But we have some music gigs coming up on Sundays. There are also one-off events – we’ve had some poetry evenings on free Saturdays, some live music on other free evenings. Tuesday to Saturday we sell books all day – and quite a lot of books, which is lovely. We are closed on Mondays, but the shop is currently used by Socially Shared, a local initiative for women in business to network and pick up tips and advice. We have been opening on Sundays, but through the winter there will be craft fairs once a month, we’ve had a tabletop sale, we’ve started some films on Sunday afternoons – lovely old classics – Blithe Spirit was our first, and much enjoyed. Books are the core of what we do, of course. We sell pretty much any kinds of book, and we get frequent wonderful donations from the people of Kenilworth – from popular novels that people don’t expect to read again to painful clearouts of parents’ houses; parting with the libraries of relatives who have passed on is often difficult, but people generally seem grateful to have somewhere to take these books that gives them another life and contributes to something else. Much less painful than putting them in the recycling. We get some wonderful gems – I love the ones with old inscriptions – school prizes, Christmas presents from grandparents to children, where you can read between the lines the hopes that a child will respond to something an adult has loved, friends wishing each other well, people sharing books they have loved. Second-hand books are a complete joy because of the history they contain and sometimes I hold a book and imagine the stories it could tell beyond the ones printed on the page. Some books are beautiful, others are functional, some are heartbreakingly falling apart so that no one now will love them enough to pay money for them but they have clearly been loved before. But through all of this – the books, the events – there has grown a wonderful community of people. There is now a good sized core of regulars who call in ‘just for a quick squiz’ as one sometimes says, always with a wave and a cheery hello, or to say hello, or to sit and drink a cup of tea in congenial surroundings. More than that, friendships have grown up in and through the bookshop. Even one good, strong, romantic relationship! The bookshop has been life-changing for some. I have made so many friends, and these friends have made friends with each other, and it’s wonderful to see. Recently a volunteer covered the shop for me on a Friday afternoon; I was glad of the afternoon off, but also sad to miss a conversation that took place, as one then another friend called in, and the three of them had a discussion about neoliberalism and the state of the world! None of these three people knew each other a year ago, and only know each other now because of the Tree House. And they all met there by chance that afternoon – they thought I would be there, and the two visitors arrived independently – and they had a meaningful conversation that cemented their friendship even further. I love being able to provide a space in which that sort of things happens. A physical space, of course, but also a spiritual space, for want of a better word. An environment where people welcome each other, enjoy getting to know each other, meet likeminded people, meet people who are not likeminded but connect anyway, feel they can just drop in, make a cup of tea and enjoy someone else’s company. This is the best thing about what we do – and it all happens because we sell books, put on cultural events, and use the arts to draw people in then draw them together. It’s a kind of alchemy. On a personal level, I think of how much my own life has changed since I opened the bookshop. There have been very painful experiences along the way, but I now have a wonderful group of friends and an outlet for all the things I care about. And things are developing, as we continue to think about ways in which we can make the place better and commercially stronger – commercial interests are not part of what we do, we are a non-profit venture, but we need money to survive, so we continue to try to balance our financial needs with offering something to our town that is far more enriching than material things. I would love more people to come to the films – those who come really enjoy it, and we do show some wonderful films, but numbers rarely get into double figures. 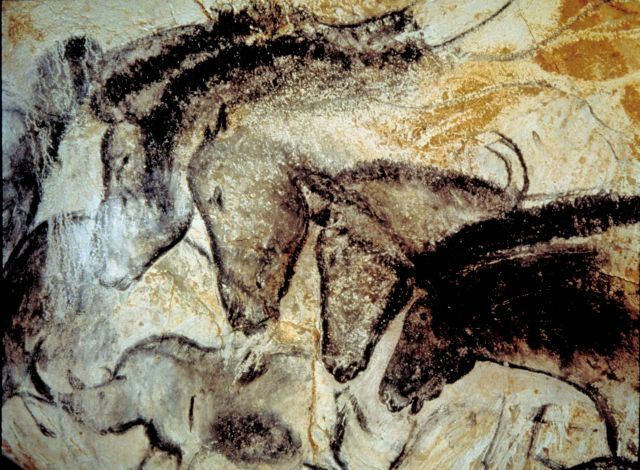 The art history lectures have gone down really well, and I want to expand that side of things – running some short courses, bringing in other lecturers on other arts subjects – literature, philosophy, music, film, history. And I want to strengthen the identity of the bookshop in terms of its aims and what we do with its resources – one of the things I have always been committed to is connecting more deeply with the natural world, through charitable giving and through promoting the importance of this connection. We have not yet made any profit, so that is one aim, but I also want to find ways to make our commitment to this aspect of life more prominent. So there is much going on, and much more to do. It’s very hard work, mainly because of the pressure of financial survival, but however tired I am, however much I feel I want to go home and watch Strictly Come Dancing or catch up with Frasier, once our events get going, they are always enriching, wonderful, a step forwards, a reason to keep going and an inspiration to ensure that we keep offering such things as a means of creating and enhancing a sense of community and the importance of the arts in engendering community as well as personal development.